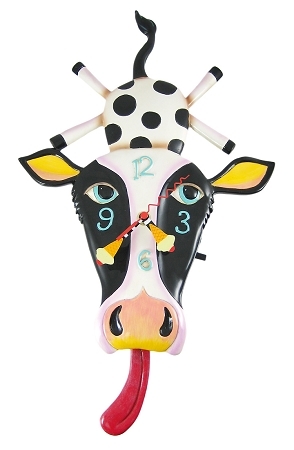 10 3/4" x 16 1/2" x 2"
Show your wild side and decorate with these crazy and fun wall clocks. Every clock in this collection has moving pendulum features which add more character. Fun for the whole family! Hand painted resin material.